Ellen Bass, age 79 of Delta Junction, beloved wife, mother, grandmother, and great grandmother passed peacefully with her loving husband by her side on November 9, 2018. 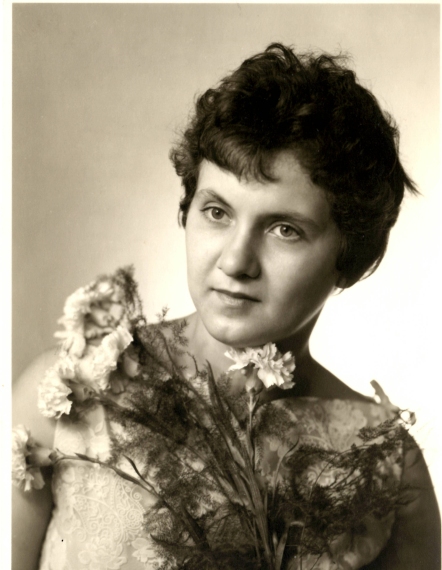 Ellen was born on September 11, 1939 Kunzelzau, Germany and has lived in Alaska for 35 years. Ellen was married to Thomas Bass in 1972 in Ludwigsburg, Germany. They lived in several places around the World before making Alaska their home, including; Stuttgart, Germany, Leavenworth, Kansas, and Prentiss, Mississippi. Ellen is survived by her Husband, Thomas Bass of Delta Junction, Sons; Joachim Clauss – Stuttgart, Germany, Robert J. Bass (Alma J. Bass) of Elma, WA, Eugene A. Bass of Delta Junction, William D. Bass (Joni Bass) of Montgomery, MN, John M. Bass (Jennifer Bass) of North Pole, Grand Children; Alex Bass, Meghan Bass, Kamron Bass, Starla Bass, Jaydon Bass, Starlet Bass, Donavin Bass, Zachary L. Bass, Kayley M. Bass, and Marisa N. Bass and Great Grand Child, Jackson L. Bass. She was preceded in death by her Father, Alfred Clauss, Mother, Maria Clauss, and Brothers Udo Clauss and Alfred Clauss. Funeral services will be held on Thursday, November 15, 2018 at 9:30 a.m. at Blanchard Family Funeral Home, 611 Noble Street in Fairbanks with a visitation starting at 9:00 a.m. Burial will follow in Delta Junction at Rest Haven Cemetery on Jack Warren Road.